The area of the Valley of the Loire between the cities of Nevers and Montargis in France is a very suitable region for a relaxing bike and barge holiday. 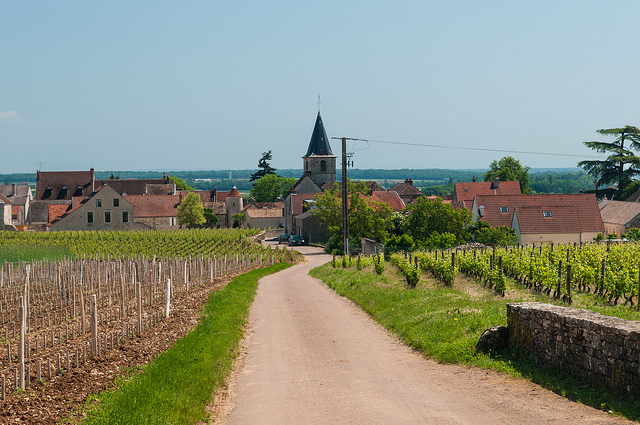 Following the flow of the Loire River, this Loire Valley bike tour gently rolls through the green countryside with charming little villages sporadically intermingled. 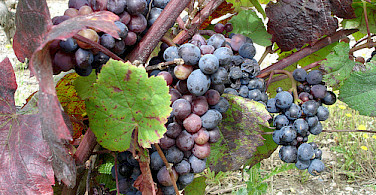 The rich landscape bears many fruitful vineyards. 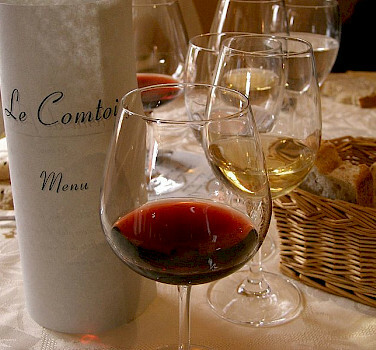 Of particular fame are the wines from Pouilly-sur-Loire and Sancerre said to be among the most prestigious in the world. 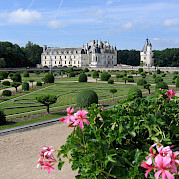 The first full day of this Loire bike tour will take you to the Château of Apremont, dating back to the 12th century and lavishly surrounded by gardens. The ancient Roman town of La Charité-sur-Loire follows with a 16th century stone bridge. 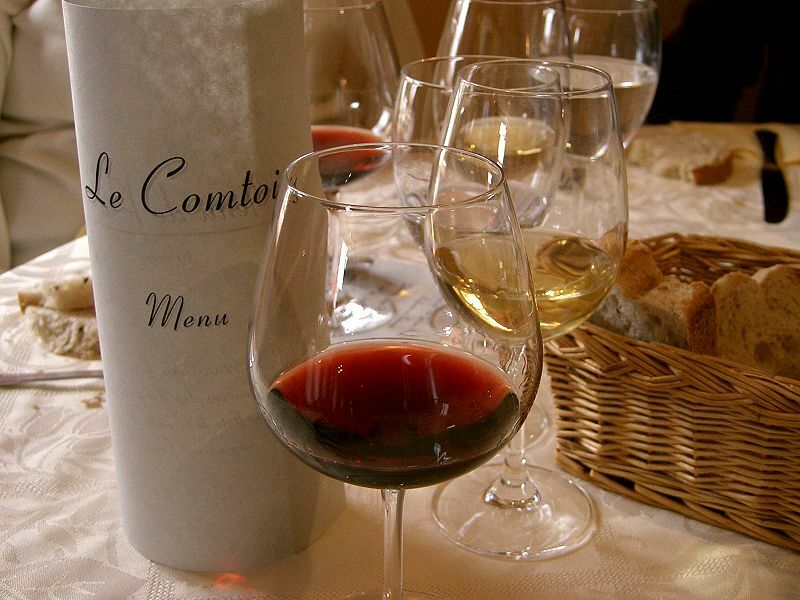 Wine-tasting in the region of the Pouilly Fumé wines and the Sancerre vineyards will not be missed, followed by a trek through St. Brisson Forest. 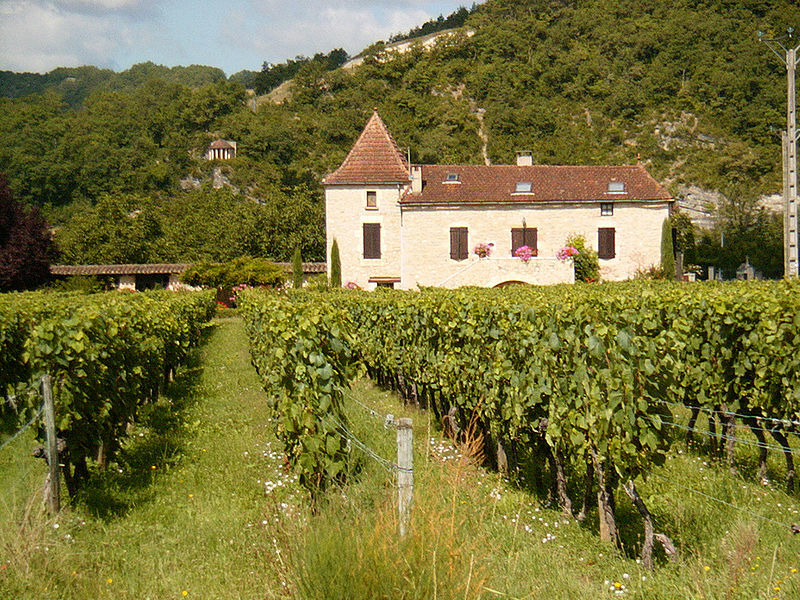 With the forest's fresh air, you will next cycle to the Château of Pont Chevron. 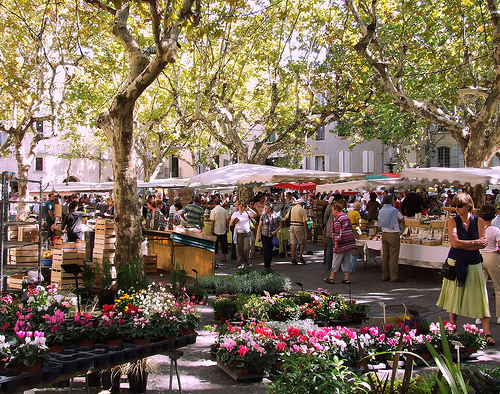 Through a beautiful region of lakes and past a few more castles you will cycle the Loire and visit Chatillon-Coligny and it's famous market. You will spend some extra time Rogy-les-Sept-Ecluses and this is also where the tour comes to an end. 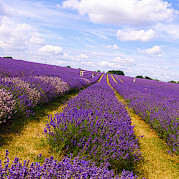 Be sure to view all of our bike tours in France or our comprehensive list of Loire Valley bike tours. Train from Paris’ Charles de Gaulle airport to Paris-Nord train station (½ hr. ), where a bus will bring you to the boat. Check local weather conditions prior to departure. Average high/low temperatures in °F for the area is: 64°/49° for May; 70°/54° June; 75°/58° July; 75°/57°, August; 79°/52° September. Please note that you will be part of an international group of people. 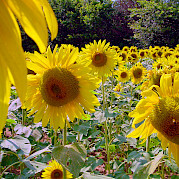 However, your tour guide and crew members will always speak English. This is a moderate guided tour with average of 25 miles per day. Routes follow the Loire, are slightly hilly at times, but mostly flat. Day 1: Transfer by bus from Paris/Gare du Nord train station - meet at station at 3pm. Arrival in Cours-les-Barres. Day 8: Departure by bus to Paris - Gare du Nord (train station). Below is the daily itinerary for the route from Cours-les-Barres to Rogny-les-Sept-Écluses. With each following departure date, the route will run in reverse (i.e. 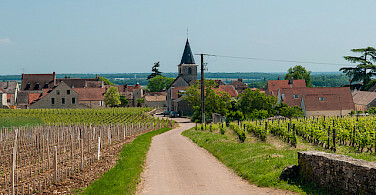 from Rogny to Cours-les-Barres) and thus have a slightly different itinerary. During the afternoon, you will be picked up at the Gare du Nord train station in Paris and taken to the ship for boarding in Cours-les-Barres. It is recommended to arrive at Gare du Nord by 3 in the afternoon, the bus transfer must leave at 3:30. Upon arrival at the barge, you'll meet your tour guide for the week as well as the rest of the crew on board ship, who are there to make your stay as comfortable as possible. After settling in, dinner will be served on board. 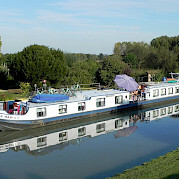 From Cours-les-Barres, the boat will sail over an aqueduct over the Allier River. After passing two impressive locks both measuring about 9 meters high, the boat will head in the direction of Apremont, where you will have the opportunity to visit the 12th-century castle and surrounding fabulous gardens. 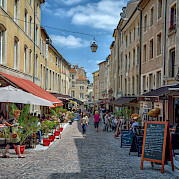 After, you will continue to town of Nevers where there are many sites to see including the winding streets filled with houses dating back from the 14th to 17th century. 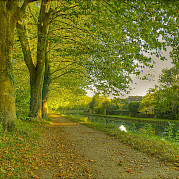 At the end of today's cycle tour, the barge will be waiting in Cours-les-Barres. While breakfast is being served, this morning will begin by sailing to Beffes. 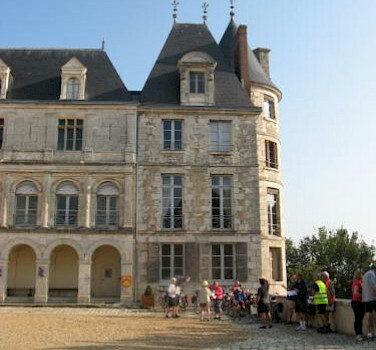 Upon arrival, you will hop on your bikes and begin the days cycling tour to La Charité-sur-Loire, an ancient Roman town. 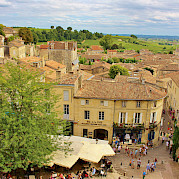 Crossing the 16th century stone bridge to the center, there is a splendid view overlooking the town and its Notre Dame church. 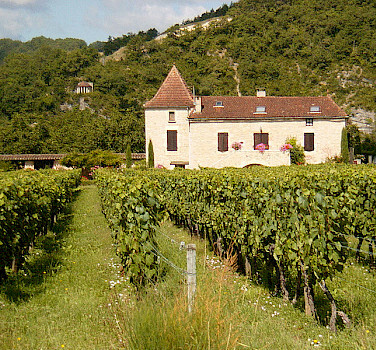 Then you will enter the region of the Pouilly Fumé wines. 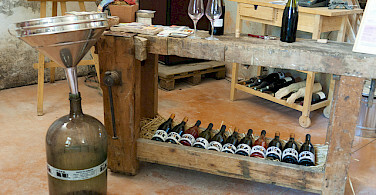 In Ménétréol, situated under the Sancerre vineyards, will be an opportunity to try some wine before returning to the ship. 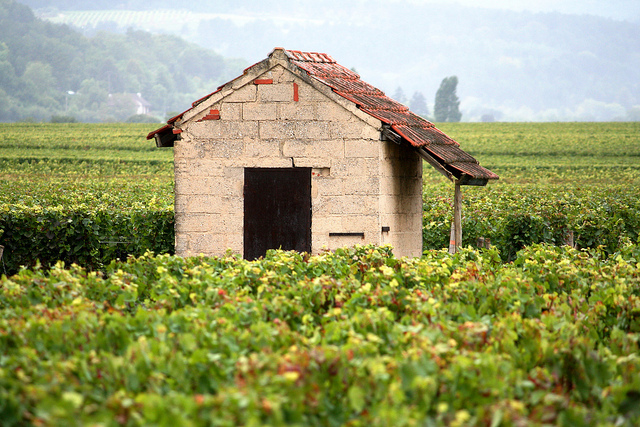 To start off, you will visit Sancerre and then take a picturesque route right across the Sancerre vineyards. 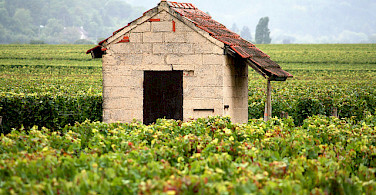 The tour will continue past a few of the wine villages that are situated in the impressive scenery. Today, as you cycle, you will pass the historical locks of Châtillon-sur-Loire and further on, cross the aqueduct over the Loire River. 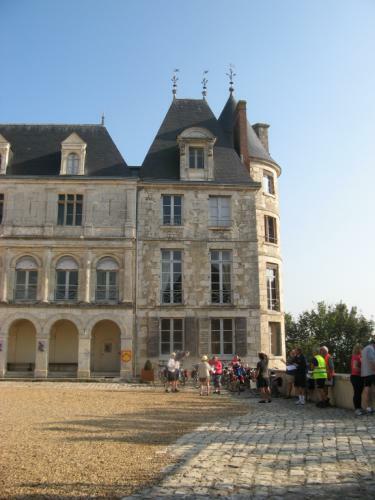 After passing through St. Brisson, where you will pass an impressive medieval castle, you will cycle back to the Anna Maria IV, while enjoying the fresh forest air in the For't de St. Brisson. This evening, the boat will cross the Loire through the magnificent aqueduct and stop for the night in Briare. 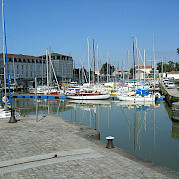 The morning will allow some time to explore the town of Briare. 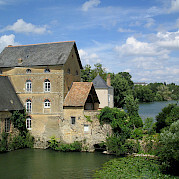 Today will lead us to the castle of 'Pont Chevron,' situated on a small, picturesque lake. 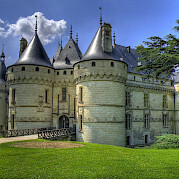 Via Ouzouer-sur-Trézée, you will cycle through a region of lakes to the 16th-century castle near Bléneau. The cycling day will end in the village Rogny-les-Sept-Écluses, known for its historical seven locks. 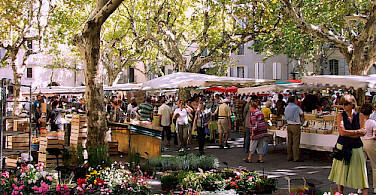 Today, enjoy a trip to the market in Châtillon-Coligny, from where you will continue to the castle in La Bussière. 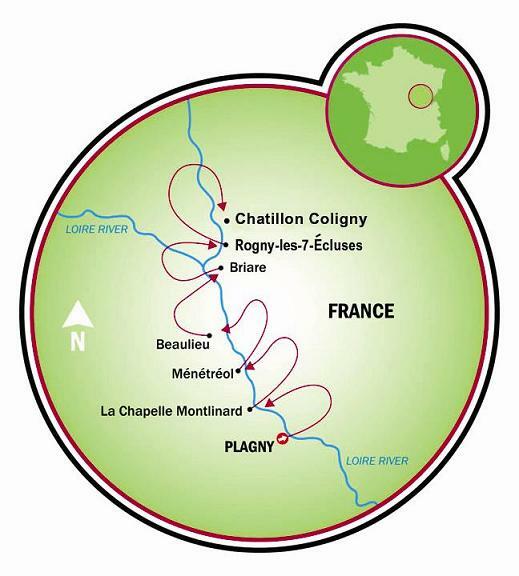 Via Escrignelles, the tour will end back in Rogny, which is right next door to Châtillon-Coligny. In the morning, you may wish to go for a stroll around Rogny. 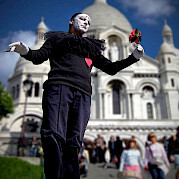 At approximately 11:00 AM, you will say farewell to the guide and crew and be transported by bus back to Paris. You should reach Gare du Nord by 3:30 PM. This tour is run by HAT tours. After having had prior positive experiences, I was very disappointed with this trip. The accommodation on the boat was almost to the point of ridiculous! The upper bunk was almost impossible to get into and getting up to go to the bathroom in the middle of the night was treacherous! 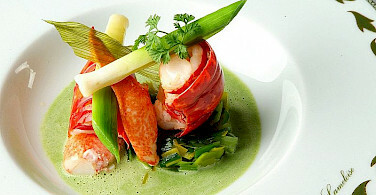 The staff were pleasant enough and the food was okay. Peter, our guide, was also disappointing. He really seemed to have little interest in whether we were enjoying our ride. He would often head out ahead of us and then a some point realize that we weren't all there and would stop or go back. He did not wear any kind of identifiable clothing so that we knew who or what to look for if we were further behind. Thank goodness there were enough of us with prior experience that we picked up the slack and made sure the first timers weren't left behind. I invited my sister, a first timer, to join me on this trip and found myself apologizing many times that this trip was less than enjoyable. That Read more… being said we did see some nice scenery and did come across some stores that were actually open. The general comment was "that's just the French" Another thing to note is that finding the bus that was supposed to take us from Paris to meet the boat ended up being a bit of a fiasco! We waited for an hour in the hot sun and the bus had been there the whole time. There was no identifiable sign to let us know that was our bus. Several times members of our group checked with the driver and were told that it wasn't our bus. Finally one of the members of our group who was more proficient in French appeared to ask the right question as it turned out that the bus was actually ours. Not a good omen apparently! All in all I would not recommend this trip to anyone! My biggest complaint was the cost of the water. The days were hot, the stores and restaurants along the way were closed and for the temperature we should have been provided with water or somewhere to fill our bottles. The boat charged too Read more… much for a small bottle and provided only one even smaller bottle for the day. My Read more… recommendation to HAT tours is to provide maintenance support for the tour if they are going to continue to use these bikes. I have been on another company's bike and barge tour through Provence in 2014 and they had maintenance support which could be contacted promptly to fix and/or transport bikes/people when required. The group was excellent. We had a great time together. Jean and I were the only Americans aboard but everyone spoke English. This trip, rated moderate, was the most challenging of the four tours we have booked thru Tripsite since 2012. It stretched us to the limits of our biking abilities. The tour was thru pleasant countryside but lacked the highlights of our previous tours- no Eiffel Tower, Venice canals or Pont du Gard. The barge itself was a weak point, although it was not advertised as a strength. Most disappointing was the food, especially the evening meals featuring mostly starches- pasta, mashed potatoes, quinoa and rice. Don't know whether this was a budget or skills problem. The guide was excellent, competent, friendly and caring. The bikes themselves were mostly good although there were some minor problems-with a tire once and an ebike battery that didn't fully charge overnight. Giro Libero bikes were in better condition than Read more… those of Hat Tours based on our two tours with each of them. 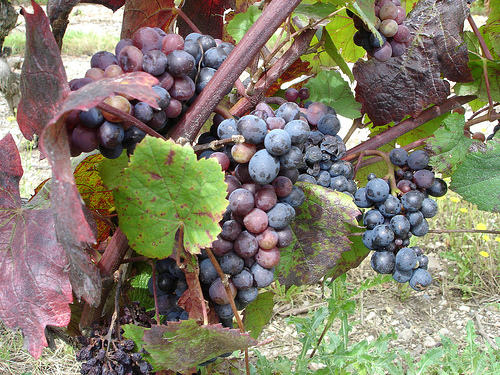 The Loire Valley tour was enjoyable, but the weakest of the four trips we have taken. Our fondest memories will be those of great conversations, lots of laughs with new friends we will probably never see again and a sense of accomplishment for what was for us an arduous trek. As a tip for others, as I mentioned to bike and barge rookies, check out other trips as advertised in Tripsite's catalog. Comfortable riding each day through lovely French countryside. A map of the day’s route for personal use would be a big help. 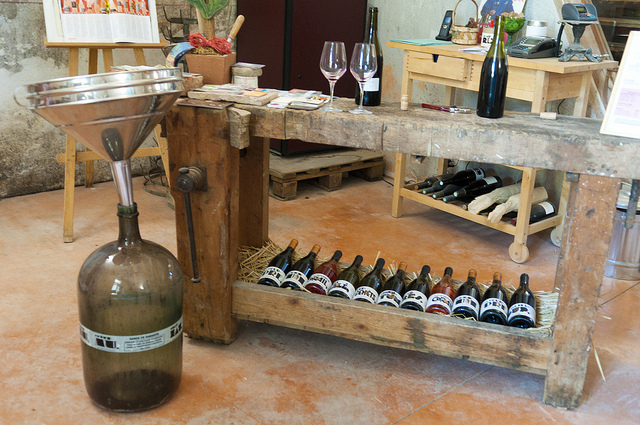 Stefan and Florence are delightful, welcoming hosts providing excellent delicious meals. Make sure to spend a day on the barge during your trip - a definite highlight. We knew the barge was old, but weren't prepared for the very tiny, cramped cabin space which was definitely not the one advertised! Most of the bicycles were in fairly good condition, but my husband got one on which the chain kept coming off and had a fall because of that. The barge operators, Stephan and Florence, were lovely and worked very hard to provide a good experience, cooking traditional French meals each evening complete with dessert. The tour guide, Jan, did an excellent job keeping the cycling group on track and adjusting our days to accommodate the extreme temperatures during the hottest week of the summer! Thank you for sharing feedback for this tour. I'm sorry you found the cabins too small for your liking but we mention on the boat page that the "...ship is especially suited to motor the narrow French" and provide pictures of the cabins and dimensions. 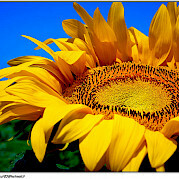 I am glad you had a great trip and enjoyed Stephan, Florence, and Jan. We hope to help you orgainize your next trip! Sorry, it rained the entire trip. Route and scenery would have been fine if not for that. Barge has seen better days. Staff (Stephan and Florence) are very pleasant. Suggestion: Give the tour riders a sew-on patch to remember the tour. The trip was organised very well. The international crew made the trip more interesting. We were glad that Peter had some flexibility in what we experienced. He was an excellent guide. We would have liked to stop at a few more wineries. Also we always seemed to be pulling into villages as they closed for lunch. We are return users of Tripsite, we have found both the service from Tripsite and the tours (now 3 in total) have all been excellent. Great tours because of the combination of places, organisation and staff. Am looking forward to taking part in more in the future. Great trip. Everything we were hoping for. There seemed to be tension between the owners of the barge and guy doing the cooking, cleaning and maintenance. The guy was trying to do the job of more than 2 people by himself. One day when he needed help with a cranky generator the captain was in a bar. We did not get clean towels half way through as promised. I have been on 2 bike and barge trips and this had the worst staff. The guide was good but left slower riders at several critical junctures. It did not happen often. Seems the system works best when the owner is captain. Means he is present and accountable. We did this tour in 2008 and had a wonderful time. Anna Maria IV France Standard Class Boat The Anna Maria IV was built specifically for the French canals with it's length, width, and height all adjusted to sail the narrow waterways of the country. 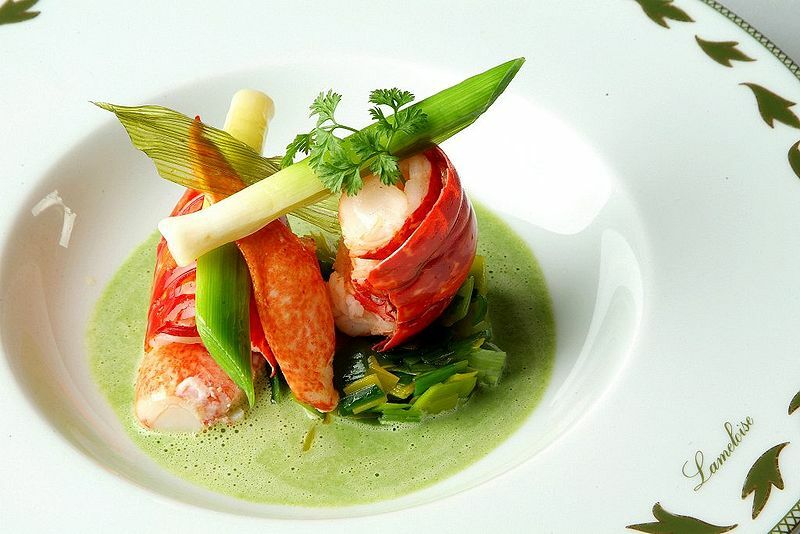 She sails in the Loire Valley region during the season. You will feel right at home in the relaxed atmosphere of this barge. Total 9 cabins (private facilities) are equipped with a sliding window and an electrical fan. On board limited WIFI access.